These arch old rivals served up yet another cracking 70 minutes of football with Dublin eventually emerging with a two-point victory, 1-12 to 1-10, in this Leinster SFC quarter-final at Croke Park. As Dublin were unable to create a winning platform it took two huge frees from substitute Mark Vaughan to eventually see off the Royal County men’s challenge. Vaughan's first effort from 58 metres with six minutes remaining gave them a two-point lead, but it was Meath substitute Daithi Regan who once again left the minimum separating the sides. Three minutes deep into additional time Vaughan held his nerve to point another pressure free but they still had to withstand some tense moments in the closing minutes before securing their semi-final spot against Wexford. Both of the goals arrived in the opening half with Joe Sheridan's eighth minute effort crashing down off the underside of the crossbar, but the umpires adjudged the ball to have crossed the line, leaving them leading 1-2 to 0-2. Up to that point Dublin had been struggling to cope with the pressure football of their opponents, but a superb 14th minute goal by Alan Brogan levelled matters at 1-3 each. Dublin could only manage two further Conal Keaney points but it was Meath who responded with three Brian Farrell points from play and a fabulous Graham Geraghty effort to leave the Royal County leading 1-7 to 1-5 at the interval. 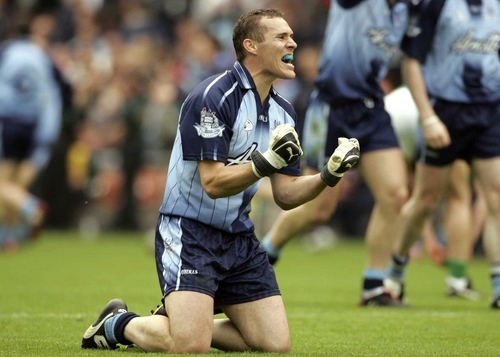 By the 47th minute Dublin, with points three from Alan Brogan allied to a point each from Barry Cahill and Senan Connell led 1-10 to 1-8, but it still took those two superb Vaughan pointed frees to give them their semi-final spot. 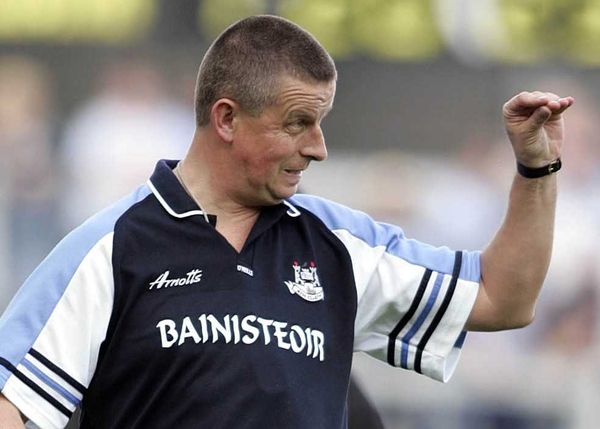 Dublin: S Cluxton, P Griffin, P. Christie, S O'Shaughnessy, P Casey, B Cahill (0-1), C Goggins, C Whelan, S Ryan, C Moran, A Brogan (1-3), B Cullen (0-1), J Sherlock, C Keaney (0-3, 1f), T Quinn (0-1 f). Subs: S Connell (0-1) for Moran (35), M Vaughan (0-2 f) for Sherlock (35), D Homan for Quinn (58), P Andrews for Casey (65), J Sherlock for Homan (66). Meath: D Gallagher, M O'Reilly, K Reilly, N McKeigue, D Crimmins, D Fay, C King, N Crawford (0-1), A Moyles, N Kelly (0-1), P Byrne, S Bray, J Sheridan (1-0), G. Geraghty (0-3), B Farrell (0-4). Subs: P Reynolds for Kelly (42), S McKeigue for Byrne (53), J Cullinane for McKeigue (56 inj), D Regan (0-1) for Sheridan, P Byrne for Crimmins (67), O Murphy for Crawford (73).